For the fourth year in a row, seven year old Max Sedmihradsky is taking his dad Andrew and two year old sister Isla on a 600 km cargobike ride to help find a cure for Duchenne muscular dystrophy. Max’s Big Ride will start in Hamilton on Monday, June 11 and end on Parliament Hill in Ottawa on Father’s Day - Sunday, June 17. Duchenne muscular dystrophy is a progressive and fatal genetic disorder that gradually weakens the body’s muscles. There is currently no cure - but we hope to help find one for Max and others like him. Since 2105 Max’s Big Ride has raised over $150,000 and has helped to identify exciting new directions for Duchenne research including the establishment of Max’s Big Fellowship with the Gunning Lab at the University of Toronto Mississauga. None of this would have been possible without the support of communities along the route and extensive media coverage. Please click here for more info on the 2018 ride including a detailed route map. At the conclusion of their 2018 ride, Max and Andrew will have ridden over 2400 km over the past 4 years - equivalent to riding from Toronto to Miami. 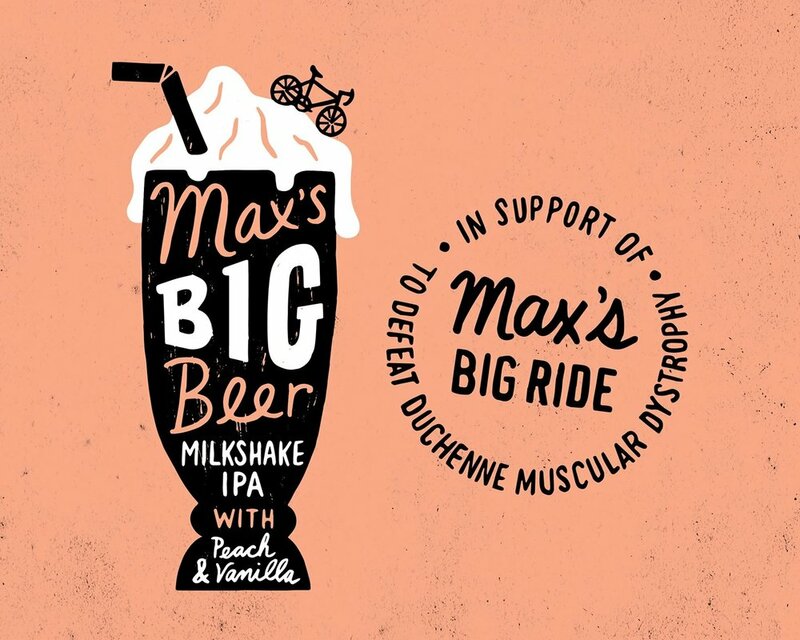 This year Max's Big Ride is excited to be partnering with Grain & Grit Beer Co. to release Max's Big Beer - a Milkshake IPA with Peach and Vanilla. Fifty cents from the sale of each can will go to help fund Duchenne research via the registered charity Jesse's Journey. You can read more about the 2018 Max’s Big Ride here. For further information please contact Andrew Sedmihradsky at andrew@maxsbigride.com or 289 527 5608. To see Max and Andrew aboard their cargo bike and to learn more about their cause, please visit: www.maxsbigride.com and follow them on Facebook, Twitter and Instagram.